After the U.S. Green Building Council announced LEED version 4 in 2012, the organization is moving forward to LEED v4.1. GBCI noted that it's not a total revision of the version, but rather a small step toward the future. Just because v4.1 is on its way doesn't mean v4 is outdated; far from it, in fact. The update primarily applies to the material composition, Building Design & Construction reported. What that means for organizations that want to pursue points by integrating green vehicles, the rules should still be pretty much the same. Buildings can get one point for green vehicles by accomplishing two requirements. The first is the preferred parking requirement: 5 percent of all parking spaces should be reserved for green vehicles only. These spaces should be evenly dispersed among various sections of the parking lot, such as having half in short-term parking and half in long-term parking. Alternatively, projects can choose to offer a 20 percent parking discount to green vehicles in lieu of dedicating 5 percent of spaces to them. Information about the discount should be easily seen and consistently available. The second requirement for the LEED point for green vehicles is providing an alternative fueling station in 2 percent of all spaces. The spaces that offer the electric vehicle supply equipment should not include the 5 percent reserved for green vehicles. Organizations can choose between installing electric vehicle charging stations or liquid, gas or battery facilities. For the parking spaces equipped with EVSE to qualify for the green vehicle point, the charging station must provide a Level 2 charging capacity or greater. That means it must have a minimum capacity of 208 volts. Additionally, the equipment must be connected so it's able to participate in a demand-response program. This should encourage people to charge their vehicles during off-peak hours, which will lower the price of charging. Finally, the EVSE must comply with any relevant local or regional standards for electrical connectors. Two common examples of regional standards commonly used are SAE Surface Vehicle Recommended Practice J1772 and SAE Electric Vehicle Conductive Charge Coupler. 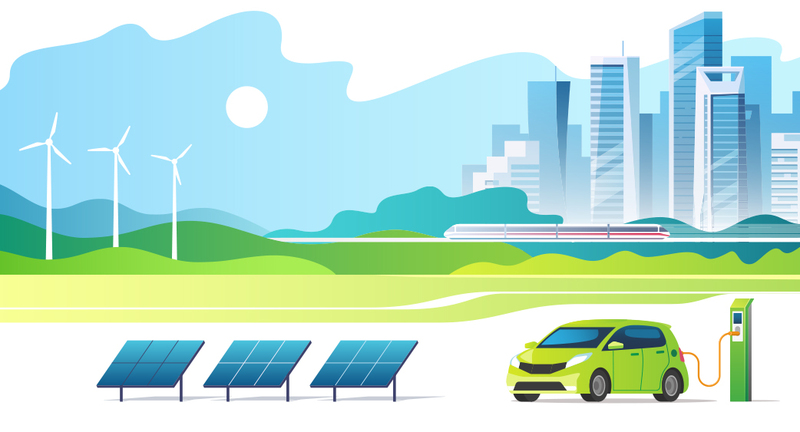 Pursuing LEED accreditation can be a clear way to demonstrate your dedication to being an environmentally friendly organization or to promote the use of electric vehicles. Updating your parking lots or structures to gain LEED green vehicle points is one step that accommodates your employees or visitors who drive electric vehicles. Webasto Charging Systems' offers Level 2 charging stations for workplaces that are reliable and high quality.